Okay, I have to give this one a plug (I know we said we wouldn’t do that) but I couldn’t stop turning the page and since I know the authorJ I have to give this a big two thumbs up! I LOVED it! And it’s cleanJ Way to go Melanie! When’s book two coming out? Aylen wants more than just the life of an outsider and she’s determined to figure out how to get it, even if it means defying her parents or spying on her best friend. But the night she finds a strange jewel that gives her the ability to breathe underwater, Aylen thinks she may have found a way to leave the island for good. 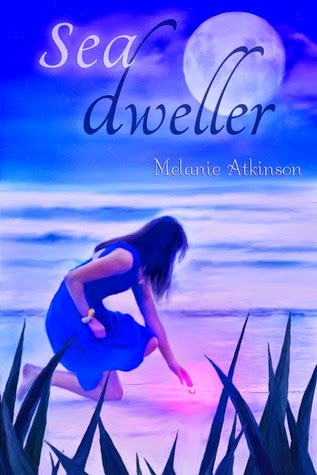 As she learns to use the jewel, however, Aylen uncovers the nightmarish secrets about her parents’ pasts, and the dangers which made them leave the mainland in the first place. And it turns out those dangers may have found their way to the island. With the help of her jewel, Aylen is the only person who can protect her family and the entire island nation from the biggest threat they have ever known.